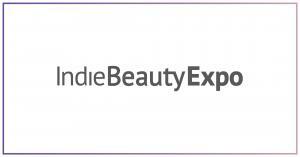 “Although I did not have time to travel to Berlin so shortly before my trip to Brussels, I was drawn to the Indie Beauty Expo on Friday. In the US, this fair is very well established for niche brands and has the reputation of being able to spot the next big brands there. Accordingly, the decoration of the booths and the hall was much more consumption-oriented than at trade shows: flower-adorned locations were available for selfies or Instagram stories. To see which brands Julia covers, read on.